The AWS Research Cloud Program was designed by researchers, for researchers, and aims to help you focus on science, not servers – all with minimal effort and maximum confidence that your data and budget are safe in the AWS Cloud. While research is often a compute-intensive activity, most researchers are not IT experts. That’s why the AWS Research Cloud Program helps you focus on science, not servers – all with minimal effort and maximum confidence that your data and budget are safe in the AWS Cloud. 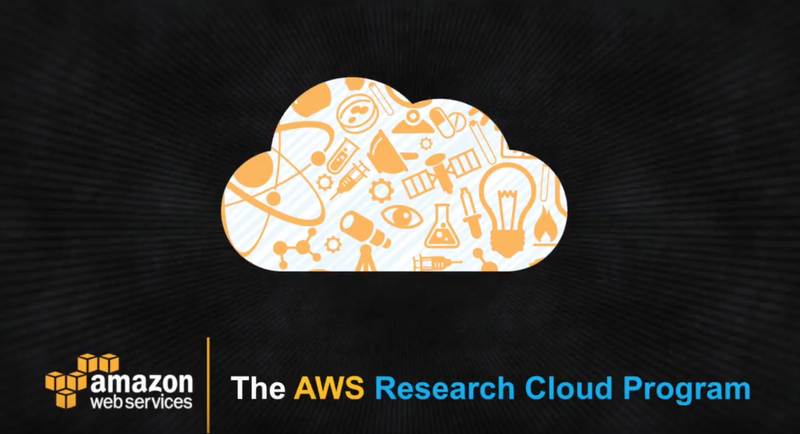 The AWS Research Cloud Program was built by scientists at AWS to enable easy use of AWS resources by their fellow researchers in the scientific community around the globe in any of the 190 countries where AWS is available. Some program benefits are restricted to public sector institutions, however, the program is open to everyone. What’s in the Researcher’s Handbook? • The research-ready AWS Catalog of Scientific Solutions that is built for researchers by AWS partners chosen for their outstanding products and work with the scientific community. • Stay up to date with access to resources we’ve built specifically for researchers. • Be part of a community that helps drive requirements for future cloud services for research. • Saves Time - Create your first computing machine in minutes and run experiments, not servers. • Lowers Costs - Pay-as-you-go pricing, so you only pay for the IT you need and consume. • Flexible – Access and match the right IT storage and compute resources to the job at hand. • Elastic and Scalable – Scale experiments up or down, paying only for IT services you use. • Globally Accessible - You can share data, machine images, or workflows with just a few clicks. 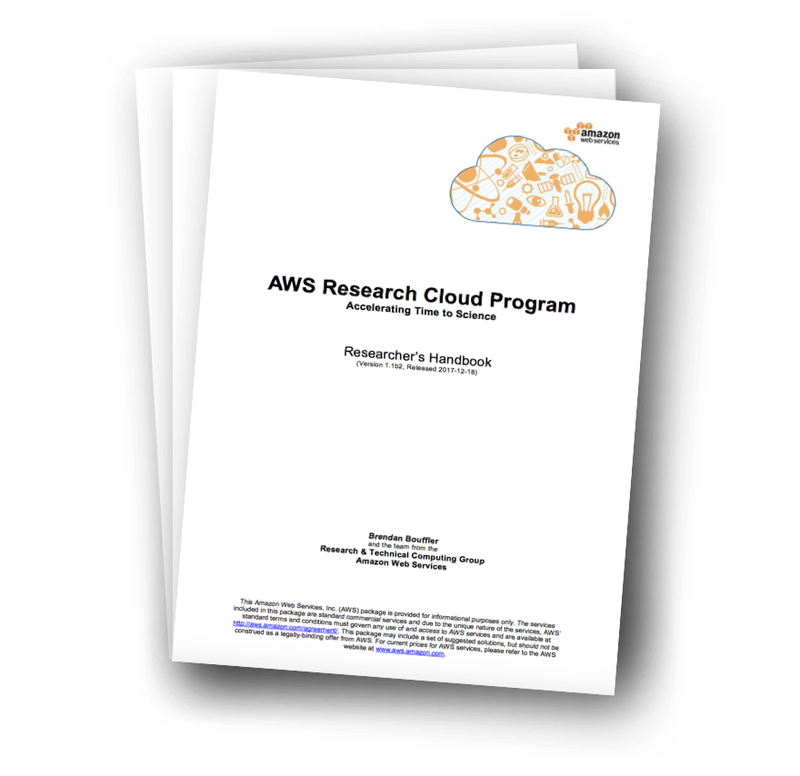 Complete the form to join the AWS Research Cloud Program and receive a free copy of the Researcher’s Handbook. Click "Submit" to enroll in the program. After submitting, check your email for details about accessing invoice billing and the data egress waiver.